This article is about the Pakistani air-launched cruise missile. For Iran's anti-tank missile, see RAAD (anti-tank guided missile). For Iran's anti-ship missile, see Raad (anti-ship missile). For Iran's air defense system, see Raad (air defense system). 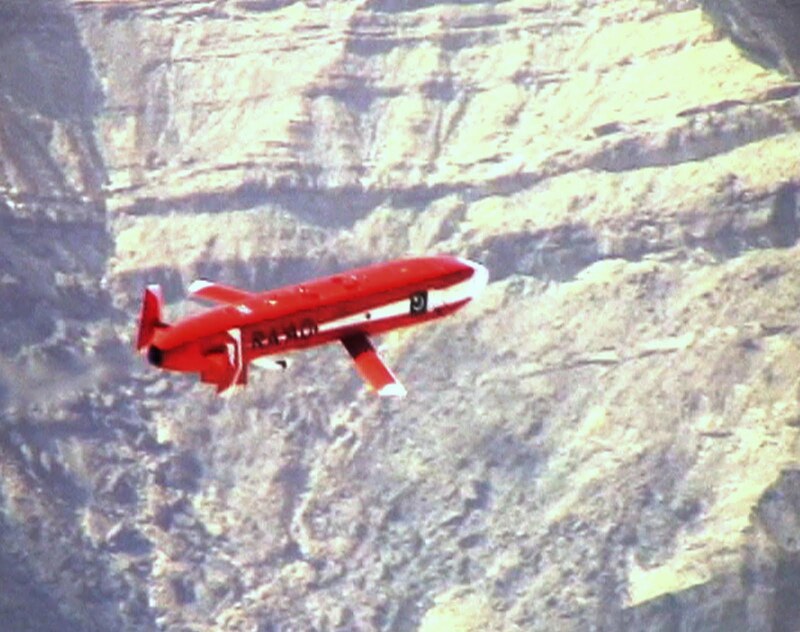 The Raad (Urdu: رعد‎, "Thunder") is an air-launched cruise missile (ALCM) under development by Pakistan. The missile was first tested in August 2007 and its current status is unknown. 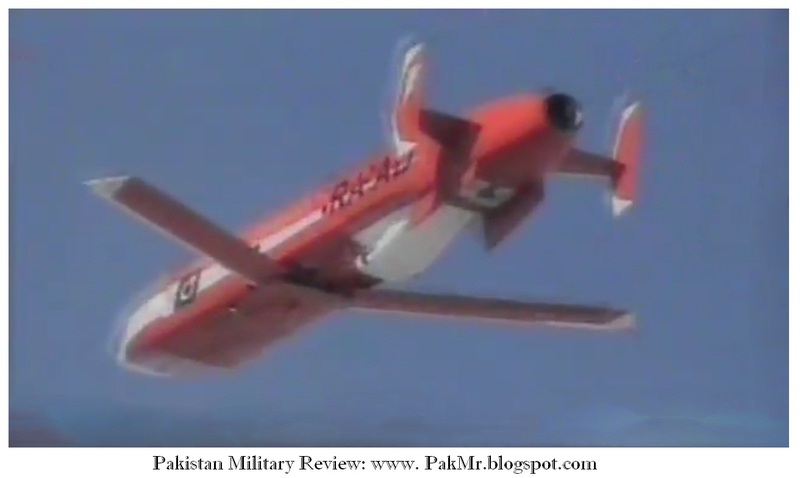 Ra'ad is developed by Pakistan's Air Weapons Complex and NESCOM. The missile's current range is stated to be 350 km. The missile uses stealth technology, has a range of 350 km and is designed to carry conventional or nuclear warheads. As per media reports, the missile has features including low-altitude, terrain hugging missile with high maneuverability. The missile would probably be tasked for precision attacks on high value targets including command centres, radars, surface-to-air missile launchers, ballistic missile launchers and stationary warships. The first test of the missile was conducted on 25 August 2007. A second test was conducted on 8 May 2008, when it was fired from a Dassault Mirage III ROSE fighter of the Pakistan Air Force (PAF). A third test was carried out on 29 April 2011 from a Dassault Mirage fighter. The fourth test was carried out on 30 May 2012. A fifth test of the missile was carried out on 2 Feb 2015. A seventh test was carried out on 19 January 2016. Though initial tests have been conducted from a PAF Dassault Mirage III ROSE combat aircraft there is potential to integrate this missile with other platforms such as the JF-17 aircraft. ^ a b c d "Hatf 8 "Ra'ad"". csis.org. Retrieved 2017-12-27. ^ Article by Usman Ansari; "Despite Missile Integration, Nuke Role Unlikely for Pakistan’s JF-17." Published online by DefenseNews.com on 7 February 2013. ^ "Hatf 8 "Ra'ad" | Missile Threat". Missile Threat. Retrieved 2018-01-17. ^ a b c "Pakistan tests new cruise missile". english.aljazeera.net. ^ Khan, Iftikhar A. (9 May 2008). "Cruise missile fired from aerial platform". ^ "Geo.tv: Latest News Breaking Pakistan, World, Live Videos". www.geo.tv. ^ "The News International: Latest News Breaking, Pakistan News". thenews.com.pk. ^ "Pakistan tests nuclear-capable Hatf-8 cruise missile". The Indian Express. April 29, 2011. Retrieved 21 December 2016. ^ "Pakistan tests nuclear capable cruise missile". News.xinhuanet.com. 2011-04-29. Retrieved 2015-03-01. ^ Desk, Web. "Pakistan test-fires new cruise missile Ra'ad – The Express Tribune". Tribune.com.pk. Retrieved 2015-03-01. ^ Haider, Dawn.com | Mateen (2016-01-19). "Pakistan successfully tests Ra'ad cruise missile: ISPR". DAWN.COM. Retrieved 2018-02-10. ^ "Pakistan officially unveils extended range Ra'ad 2 air-launched cruise missile". quwa.org. Retrieved 2017-11-22. Wikimedia Commons has media related to Hatf-VIII (Ra'ad).